What a delightful and heartfelt little EP this is. Wisconsin indie act PHOX recently released a new 6-track video EP entitled ‘Confetti’. Wait…what’s that…a video-EP, you ask? Yes, indeed; the band’s third self-released project is an audio-visual EP experiment. The 7-piece (yes, seven) band started playing together in 2011 and have been hard at work ever since, racking up nearly 100 shows to their name. The guys recently got back from their trip to SXSW where they played at the PASTE showcase alongside ON AN ON, Foxygen and The Allah Lahs. The EP was filmed, self-recorded and self-produced over 2 weeks in the bands shared communal home with each track paired to a video. For the sake of ease let’s just label their ‘experimental-indie-nu-folk’. Their sound, arrangements and songs are intriguing – rich and complex with layers of interesting instrumentation and quirky effects that flicker in and out. Capping this off is one of PHOX’s strongest attributes: the angelic lead vocal, which is gorgeously melodic and as complex as the music itself. For the most part the songs are led by guitar, banjo or mandolin accompanied by piano, lo-fi drums, electric guitar, and horns. At times the EP feels soundtrack-y and throughout songs such as “Slow Motion”, “Blue and White” or “Noble Heart” you may feel as if you’ve listened to several songs within one individual song. That’s not to suggest that the EP is disjointed but more the fact that the songs are “free” and “flowing”. In this regard, although sonically different, PHOX remind us of Sound Advice favourites, Among Brothers. Opening track “Slow Motion” is an endearing number that initially starts out with Vampire Weekend qualities mostly due to its shared affection for Paul Simon. Its chorus however reveals a more soulful and sombre quality. There also hints of Joni Mitchell here too. The beautiful “Blue and White” continues on seamlessly but this time concentrates more on mood. Emotion reaches fever pitch around 2:30 when the song transforms into a heavily orchestral and cinematic section that evokes Sigur Ros. “Barside”, meanwhile, is a more traditional folk number with just finger-picked guitar and vocals for the first 2 minutes before an instrumental section consisting of delicate piano melodies and strings emerges for the song’s final 2 minutes. The playful, and again, Joni Mitchell-esque “Noble Heart” is a stunning folk number with oboe and piano accents that really demonstrate the band’s songwriting chops. Bizarrely, from around 3:00 the song transforms into a 50’s doo-wop inspired number. “Espeon” returns to the Vampire Weekend styling shown in during first track but adds more than its own share of unique eccentricities and originality while final number “Sol Novum”, which is more like an outro than an actual song, reveals yet another quirk, this time what sounds like a 70’s prog-rock jam. 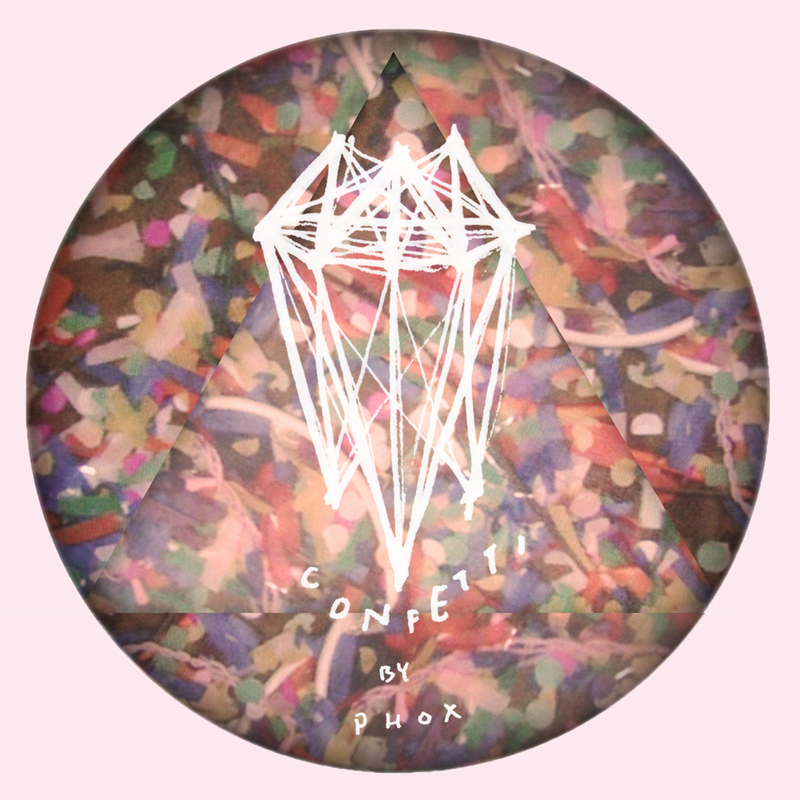 A highly enjoyable and great new find, the ‘Confetti’ EP was released on 1 April 2013 is available digitally via the PHOX Bandcamp.